Please drop by your MP’s office to tell them that you, as a member of their riding, want them to support Lucy Francineth Granados. Don’t wait to take an appointment, the situation is urgent. You can find your MP here. Below is some basic information you can use to present Lucy’s case accurately to your MP. Image you can print and post outside your MP’s office. Ask them to do their utmost to make sure that Lucy’s basic rights are respected and that a humanitarian solution be found to address her immigration situation. Specifically, ask them to speak to the federal Immigration and Public Safety Ministers in support of Lucy. Immigration Minister Ahmed Hussen has the power to accept her application for permanent resident on humanitarian grounds. Public Safety Minister Ralph Goodale has the power to stop her deportation. Lucy submitted an application for Permanent Residence on Humanitarian and Compassionate Grounds (H&C) in September 2017. According to Immigration Law, the Federal Minister of Immigration has the obligation to study all H&C applications made within Canada. ALL WE ARE ASKING THE MINISTER TO DO IS FULFILL THIS LEGAL DUTY & MAKE A DECISION ON HER H&C BEFORE DEPORTING HER. Canada is a signatory of the Convention on the Rights of the Child. This means that Canada has an obligation to take into account the best interest of the child in any decision that will affect them. However, Canada has never assessed the best interests of Lucy’s children. The only place in which the interests of Lucy’s children would be considered by Canada is in her humanitarian application. 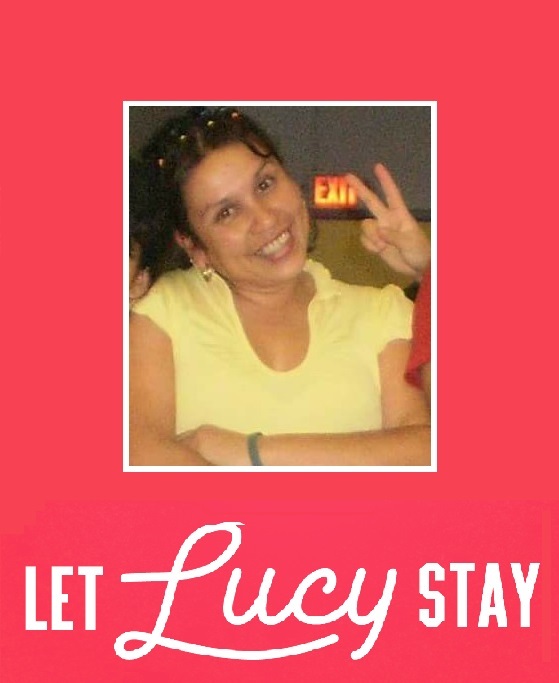 CANADA SHOULDN’T DEPORT LUCY WITHOUT TAKING INTO ACCOUNT THE BEST INTERESTS OF HER CHILDREN. CANADA’S REFUGEE SYSTEM FAILED LUCY BY REFUSING HER; CANADA SHOULD NOT FAIL HER CHILDREN BY DEPORTING HER WITHOUT CONSIDERING HER H&C. Lucy lived in Canada for more than five years without status. It was only when she attempted to regularize her status via an H&C in September 2017 that CBSA began looking for her. A CBSA agent called her lawyer in January and said that her file would not be opened unless she turned herself in for deportation. However, the online tool indicates that the file had already been opened a week prior to this phone call. Moreover, under immigration law, the Minister is obliged to study her file; this cannot be made conditional on anything. In other words, the officer made a false representation, which is illegal under Immigration law (IRPA 127 (a) and/or 129 (1) (a)). Barely two months later, CBSA officers had tracked her down, arriving at her house in force and violently arrested her, injuring her arm. Lucy’s support team is preparing a human rights complaint at Canadian Human Rights Commission. WE ARE CONCERNED THAT CBSA IS DETERMINED TO GET HER OUT OF THE COUNTRY SO THAT THIS ABUSE CAN BE SWEPT UNDER THE RUG. Lucy’s health was already compromised because of past traumas and years of living undocumented in Canada, without access to healthcare and other basic services. The brutal arrest, the conditions of detention, and the threat of deportation have contributed to a marked deterioration of her health. She has been hospitalized twice and a third time brought to the detention center infirmary since her detention; the first time losing consciousness, the second and third times with hugely elevated pressure. Both times she was in the hospital, she was shackled around her feet, denied all incoming or outgoing calls except to her lawyer and denied all visits. Both times, CBSA failed to inform her lawyer of the situation. IT IS NOT ONLY UNJUSTIFIED, INHUMANE AND LACKING IN COMPASSION TO KEEP LUCY IN THIS SITUATION, IT IS BREAKING DOWN HER HEALTH IN A WAY THAT COULD HAVE LASTING EFFECTS. SHE SHOULD BE RELEASED IMMEDIATELY AND THE DEPORTATION CANCELLED. Why did she come to Canada? Lucy came to Canada to flee violence of members of maras (criminal gangs) in her community, who extorted and threatened her. Three members of her family have been killed by maras: her fear is real. Her husband died in an accident in 2005. As a single mom to three children, in a situation of high levels of violence against women, she was in a particularly vulnerable situation. She came to Canada desperately and courageously riding the infamous death train – a freight train – to cross Mexico into the US. Why did she stay in Canada when she was ordered deported? She was both afraid to return to the violence she had left and concerned for the well-being of her children. She also had dreams of being able to eventually bring her children to join her in Canada. Why is it in the best interests of her children that Lucy be allowed to stay? Lucy is able to support her children from Canada in a way that she couldn’t in Guatemala. Lucy is the only support for her children – she provides for ALL their basic needs and that of her mother, with whom they live. If Lucy is deported, they will immediately lose their sole financial support. Due to conditions of violence, poverty and violence against women in Guatemala, not to mention her fragile health, she would not be able to support them if deported to Guatemala. What does it mean to be undocumented in Canada? “Undocumented” refers to not having legal authorization to be in Canada (in French: sans papiers) — this includes individuals whose student visa has expired; whose refugee claim was refused, were ordered deported but did not leave; who came to Canada as workers or sponsored spouses and had to leave their job or relationship for whatever reason — including abuse — and so with little to no other options, became undocumented. According to the state they don’t officially exist. Although undocumented workers contribute to the economy, they do not have access to any government services: effectively they subsidize the wealth of everyone else in the country. They are also exploitable and vulnerable and can be arrested and deported at any time. Give me her UIC number, otherwise I can’t do anything. Yes, you can. You can deliver this message to the Ministers, who are well aware of her case. You can pass on the message that we, members of your riding are asking you to convey, as the person who is supposed to be our voice in Ottawa. Lucy Francineth Granados is a single mother, the sole supporter of her three children, who has been involved in both the Montreal Non Status Women’s Collective – advocating for the rights of undocumented women – and the Temporary Agency Workers Association (ATTAP). She has made Montreal her home for the last nine years and is dear to many here. Lucy left Guatemala in 2009. At risk to her life, she traveled alone through Mexico on the infamous La Bestia or “death train” – a freight train – to the US and later to Canada. Her goal was to arrive at a place where she and her children would be safe and she could provide for them. Canada’s refugee system failed Lucy. She was refused in 2012 and faced the choice of deportation to Guatemala or remaining in Canada undocumented. She stayed, joining the ranks of Canada’s tens of thousands of undocumented migrants. In September 2017, Lucy filed an application for permanent residence on humanitarian grounds. This is an application which former conservative Minister of Immigration Chris Alexander referred to as an ongoing regularization programme for undocumented people in Canada. Lucy hoped this would regularize her status. But, it brought the attention of the CBSA who sought to deport her before her file could even be studied. On March 20th, Canada Border Services Agency (CBSA) agents arrived at her house. They violently arrested her, throwing her to the floor and injuring her arm. She has been detained at the Laval Immigration Detention Centre. Lack of sleep, fear, confusion and the humiliation she faces have contributed to a sharp deterioration of her mental and physical health, already compromised by many traumatic events and the fear and precarity of living undocumented for many years. She has had two emergency hospitalizations already and a third time, security brought her to the infirmary because they were so worried about her. Her deportation is now set for Friday, April 13th.